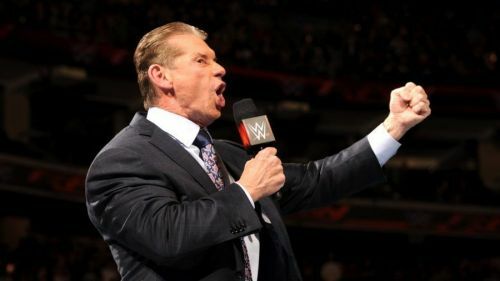 We are on the road to Wrestlemania, and with recent reports suggesting that Wrestlemania 35 might have 17 matches on the card, it is clear that Vince McMahon will leave no stone unturned to make this the biggest sports entertainment spectacle ever. Over the past few years, Wrestlemania continues to break its own records when it comes to the length of the show, but a PPV with 17 matches is unheard of. While many see it as a great move, others are doubting the decision stating it will only result in the burnout of fans watching. Wrestlemania 35 takes place on 7th April 2019 in at MetLife Stadium in East Rutherford, New Jersey. As the name suggests, it will be the 35th annual Wrestlemania event that was first started in 1985. The grand event will be featuring all top Superstars from RAW, Smackdown and 205 Live. The card for the event is already looking stacked, and more matches are yet to be announced with just weeks remaining for The Showcase of The Immortals. While only 8 matches have been officially announced as of now, it looks like WWE may be adding up to 9 more matches in the coming weeks. Forbes (via Cagesideseats.com) has reported that the reason WWE is planning so many matches for Wrestlemania 35 is to fit as many Superstars on the card as possible. They say this is to keep morale high backstage now that AEW and other companies are competing for talent. While featuring as many superstars from the roster is a novel idea, we will have to wait and see if it is a practical one.